It’s been a long time since we’ve seen a really new tweeter design. Only five basic types have ever been developed: cones, domes, panels, ribbons, and ionic plasmas. And the most recent of these—the long-defunct DuKane “blue-glow” Ionovac—was introduced 40 years ago. Since then, tweeter development has been more evolutionary than revolutionary, a series of refinements that has made them more efficient, more reliable, and smoother and more extended in response. After 40 years of evolution, a new species of tweeter has appeared: the Linaeum TLS, which stands for True Line Source. This moniker refers to the Linaeum tweeter’s radiating source, which is essentially a very narrow vertical line. The driver itself falls into the familiar dynamic category, consisting of a coil suspended in a fixed magnetic field. What’s revolutionary about it is the diaphragm, which isn’t really a diaphragm at all, but a pair of curved, softly pliable ribbons. Fig.1 is a simplified cross-sectional view of a Linaeum TLS tweeter, looking down on it from the ceiling. 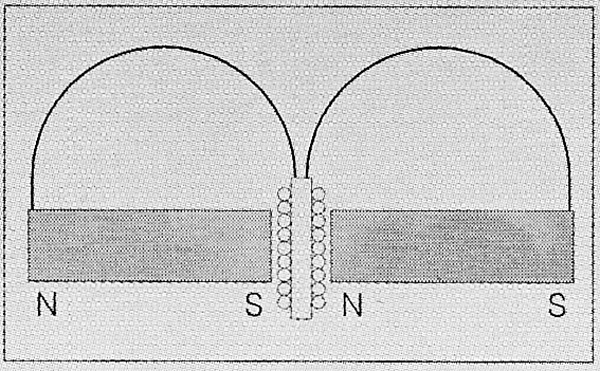 The voice-coil is wound around a flat strip of rigid, lightweight plastic, flexibly suspended between opposing poles of two magnets. Each ribbon is attached to the tweeter frame at one end and curves inward to the voice-coil form at the other end. When the voice-coil form moves forward, it pushes the attached ends of both ribbons forward, but because the ribbons are flexible rather than rigid, their entire length doesn’t move forward, as with a cone. 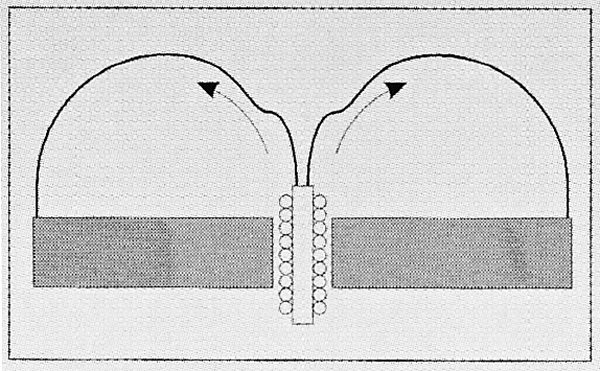 Instead, the forward motion imparts an S-shaped wave to the ribbons that travels along their length away from the voice-coil form (fig.2). 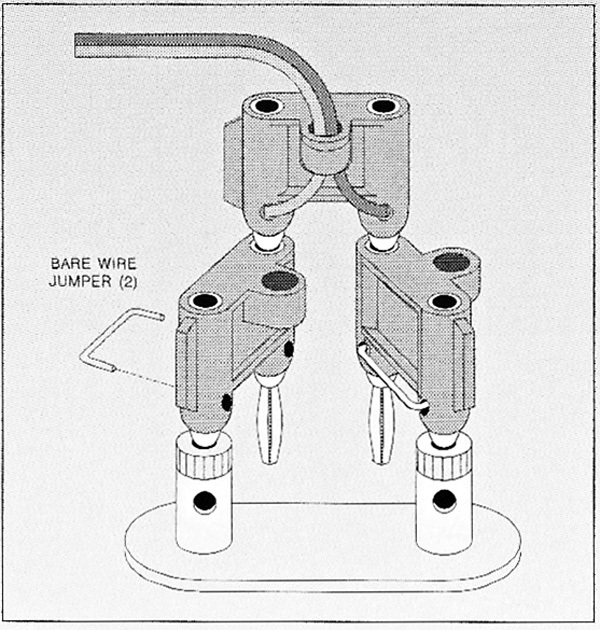 The Linaeum TLS tweeter comes in two versions: the single-sided Model 2 monopole shown in the diagrams and a Model 1.5 dipole that consists of two identical ribbon-radiator pairs attached to opposite ends of the voice-coil form. Both the Linaeum Model 10 loudspeaker and Linaeum Center-Channel Speaker (it has no other designation) reviewed here incorporate a single TLS 1.5 dipole tweeter, although the center speaker uses only its front radiation. The Model 10 mates its TLS 1.5 dipole tweeter with an 8″ cone woofer housed in a ducted-port, 1.8-cubic-foot bass-reflex enclosure. (The air in the tubular duct adds mass to the ported back wave, lowering the system’s low-frequency resonance point.) The enclosure is very inert when tapped, with only a very slight aw resonance from the lower quarter of its sides. This is not significant enough to have an effect on anything. The tweeter plugs into a pair of flush-mounted receptacles on top of the enclosure, and it has no protective cage. This might not be a smart idea if there are kids in the household, and no cage is available even as an add-on option. For this reason, I would not advise mixing Linaeum 10s and small children; learning what common household objects are tenaciously attracted to magnets is best done with less costly educational toys. The Center-Channel Speaker has a pair of 5″ cones flanking a TLS 1.5 dipole tweeter recessed behind an escutcheon plate; the plate’s opening is so narrow that it contacts the ribbons at both edges. Initially, I thought this thing would never blend with the Model 10s—but read on. 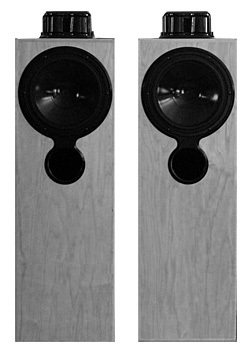 Initially, I received four Model 10s—roughly two years and several phone calls after I was first informed they would be shipped “this Friday.” I installed them in my main video room, placing the two front speakers on the floor about a foot from the edges of the video screen and two feet from the front wall and the other two at the back of the room aiming straight toward the front wall. The center listening seat was placed at a distance from the screen equal to the separation of the front speakers, forming the “standard” stereo equilateral-triangle setup. Levels were calibrated to 75dB SPL using the Lexicon’s internal pink noise and a RadioShack 33-2050 SPL meter. Initial setup (and considerable listening) was done without the center channel, during which time I found the Model 10s quite capable of rendering a center-channel speaker superfluous. With the front speakers toed-in by the right amount, there is no sweet spot for listeners to covet. The soundstage extends seamlessly across the room beyond the physical boundaries of the speakers. However, these speakers do not provide the kind of pinpoint, look-Ma-it’s-right-there imaging so prized by audiophiles. This is probably because their wide dispersion angle (which I estimated to be about 90°) involves the room substantially in the sound, even at fairly close listening distances. To say that pin-point imaging rarely exists in nature will do little to mollify the audiophiles, but it may help reassure normal folk that these speakers can tell it like it is when it comes to image placement.